Monoclonal Antibody to detect PARP in human samples. Formulation 100 µl of 0.5 mg/ml antibody in sterile PBS. 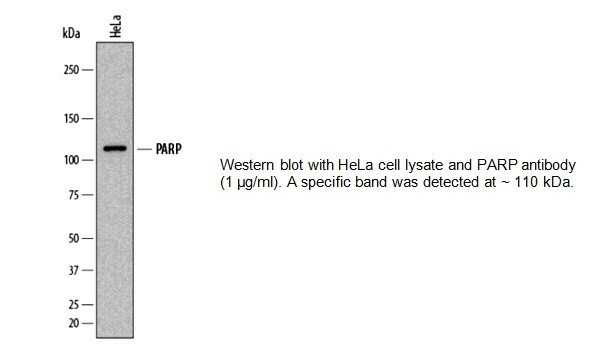 Positive Control Western Blot: HeLa cell lysate, IHC: human breast tissue. Application & Usage WB: 1 µg/ml, IHC: 8-25 µg/ml. Handling The antibody solution should be gently mixed before use.